Forest School is an important and valuable dimension to the children’s school experience at St Alban’s Primary School. It enables children to connect with nature and it fosters a sense of respect and ownership with the outdoor environment. Forest School activities are designed to develop self-confidence and self-esteem through hands on learning experiences using natural materials. The children learn how to be safe, keep their friends safe and treat the site with respect. Forest School offers all children wider opportunities to thrive and celebrate skills that they wouldn’t have the chance to share in the classroom. Our Forest School site is on Hornchurch Country Park which is conveniently situated directly opposite our school. 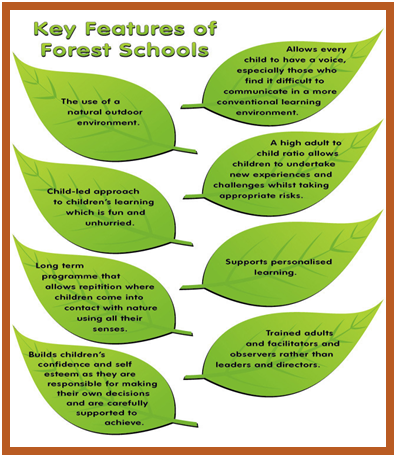 Children from all year groups can take part in Forest School activities throughout the year. Hornchurch Country Park is also used by classes for Outdoor Learning.